When I was younger I used to love playing music. In year four at school (I think), I started having flute lessons and then carried on with them until I was about 16 years old. I got up to grade 5 which I was really happy about, and I really enjoyed playing it. My favourite tunes to play was always Disney though… But no surprise there, Disney rules! When I started the comprehensive school I began taking piano and theory lessons. These would last one hour – half hour piano and half hour theory. I also really enjoyed these. I went up to grade 3 piano and grade 5 theory which I was over the moon to pass. Unfortunately, when I left for university I had to give up all of this. I wasn’t able to have lessons anymore because they were back home, and it was time to concentrate on university instead. Therefore, I took the big decision of keeping my Flute, but selling my piano/keyboard. It was difficult to do, but I knew it was the right choice. It would just be sat at home, being ignored and picking up dust if I didn’t sell it. It has now been a couple of years and I still really miss playing it. Therefore, after lots of thinking and research online, I decided to dig out my old books and go and buy a new keyboard to play at uni. The keyboard I got is called a ‘Casio CTK-240 Mid Size Keyboard’. I didn’t really want to spend loads of money, but I decided that it was better spending that little bit more and getting something decent, rather a really cheap one that I would be disappointed with. And I am so glad I did. I was only after it for playing, rather than all of the special sounds etc that come with it, but it comes with such a huge range. 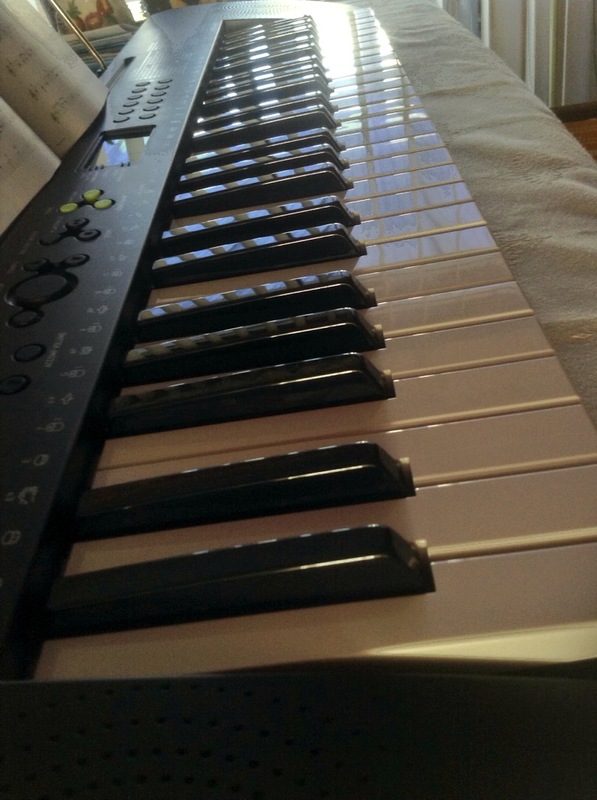 It has 49 keys, 100 sounds, 100 rhythms, and 50 stored songs… which I think is pretty good! The keys feel so lovely to play as well. When you press them they feel so soft… (If that makes any sense). The sound is also really good, and it allows you to be able to plug in headphones if needed, which is really handy if I want to play it in the evening when my flatmates are in bed. How fun for you. We have a little one who is in her second year of piano lessons and we use a similar keyboard for her to practice. They are great–hope you enjoy it.